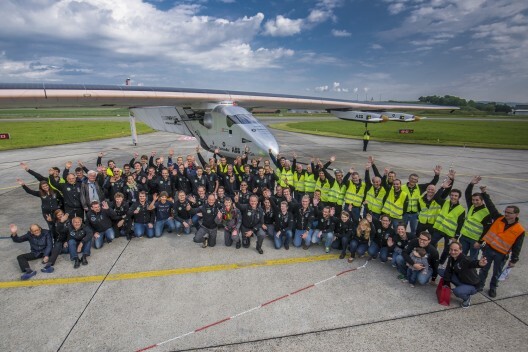 Solar Impulse 2, HB-SIB, flying now for several months, is being readied for a trip to Abu Dhabi, the capital of the United Arab Emirates and host city for Solar Impulse’s around-the-world flight. From there, early in 2015, it will embark on its around-the-world flight, alternately flown by Bertrand Piccard and Andre’ Borschberg. This attitude will be necessary to overcome the challenges of five-day, cross-ocean flights each pilot will face, and to meet the meteorological conditions following the equator much of the way. The bigger, heavier SI2 will cross deserts, the Great Wall of China, and repeat its journey across America on its five-month circumnavigation of the globe. Beginning in March, 2015 from Abu Dhabi, Solar Impulse will make stops in Asia, the United States, southern Europe and North Africa before returning to the host city in July, 2015. As with Solar Impulse 1’s flight to Morocco in June 2012, the move to depart from and arrive in Abu Dhabi has symbolic import. 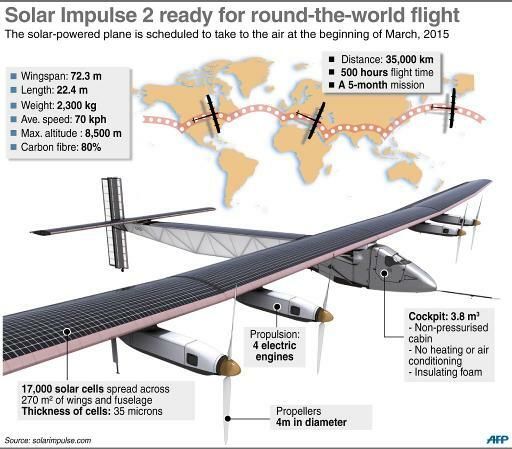 Abu Dhabi and Masdar, that country’s renewable energy company, will host Solar Impulse as it prepares for its flight. The big plane will be delivered by cargo plane late in the year and begin test flights and training in January. It will also be showcased during the World Future Energy Summit as part of the Abu Dhabi Sustainability Week, which is hosted by Masdar between January 17 and 22, 2015. This massive support team seems appropriate for the massive airplane, with a wingspan larger than a Boeing 747 Intercontinental. The journey, at ultralight speeds, will be a test of patience and technology, and one which we will follow avidly.